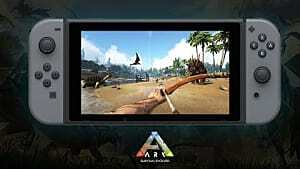 Ark: Survival Evolved is filled to the absolute brim with a huge number of creatures both aggressive and benign, with more always being added in frequent patches. 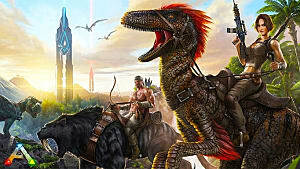 While you can get a lot done riding around on a Procoptodon or knocking over trees with a Whooly Rhino, there are some truly terrifying dinos across the island that you don't want to tangle with until you've crafted some decent weapons and armor. 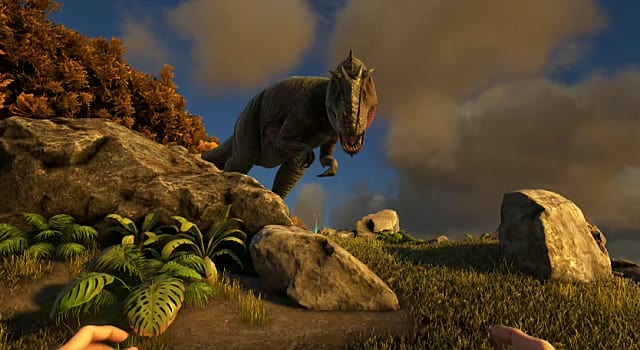 Below we list out the eight most terrifying dinos currently available in the game up to the December patch 253. Oh hey look, there's a tiny little river separating me from that location I need to get to. Shouldn't be a problem, I'll just go ahead and swim across before anything notices me and... yep, I'm dead again. Thanks a lot school of unhelpful, ever-present piranha! 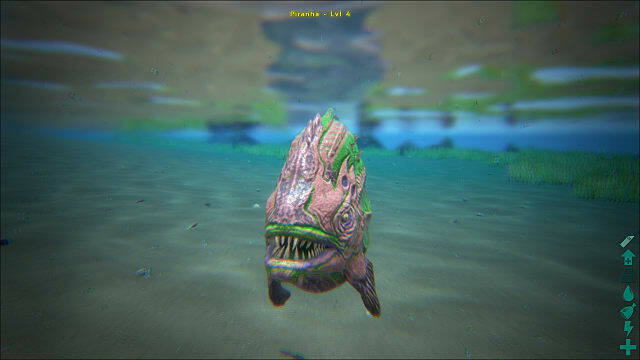 The bane of all low level players, the Piranha will teach you to be afraid of the water in a way that Jaws only wished it could! Added not too long ago in update 248, this is a water-based carnivore that's very sleek with the feel of a jackal meeting a crocodile, and it's as dangerous as that sounds. These vicious little guys may not have the size of the bigger dinos, but they do have a high speed and can switch from land to water to give chase anywhere you go. They are hard to spot in jungle areas, so keep your eyes peeled anywhere with water nearby! 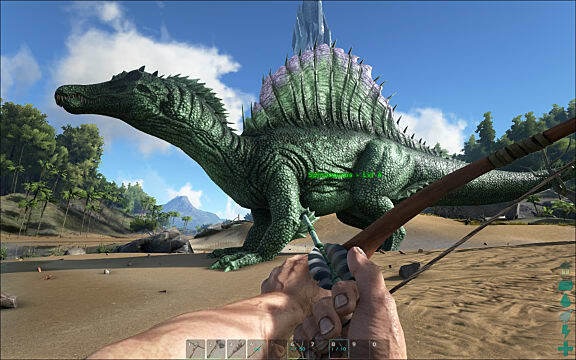 A truly vicious dino, you will typically meet these singly (thankfully) rather than in packs, and they are fast and deadly in addition to having a decent size. 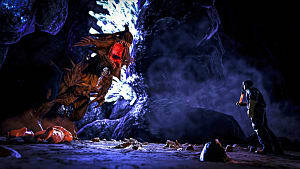 Incredibly aggressive, they will give chase as soon as one spots you, and they have a headbutt attack that can knock you flat. Ever wondered what it would be like to be lunch? 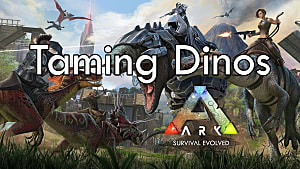 Carnotaurus will help you find out. 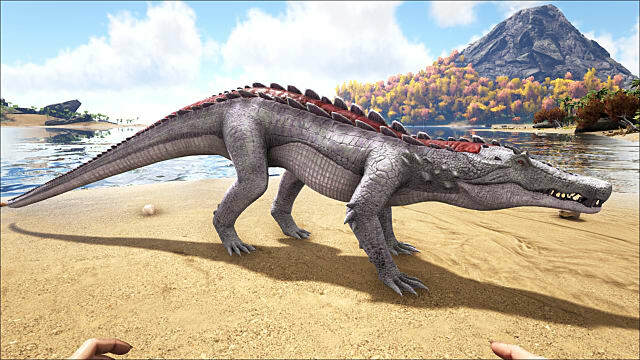 Huge, relentless in chasing you down, and unfettered by difficult terrain, the spinosaurus is a sure-fire way to meet the respawn screen. 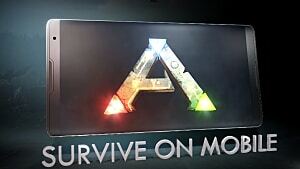 Manage to tame one though, you'll be on your way to leading a deadly tribe of your own! Mother of god, you don't want one of these swimming towards you. This is the stuff nightmares are made of! 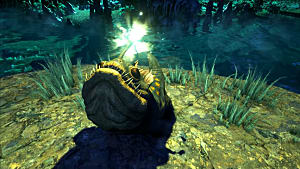 While Piranhas may be the bane of new players, Megalodon will take out the higher level players who think they've mastered the game. 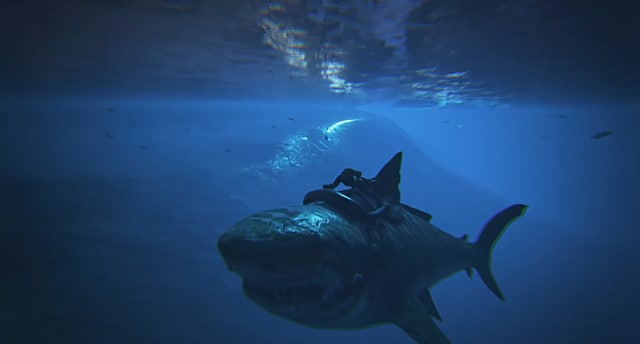 If you can domesticate a Megalodon (no small feat), you will be king of the sea and open up whole new areas to explore. 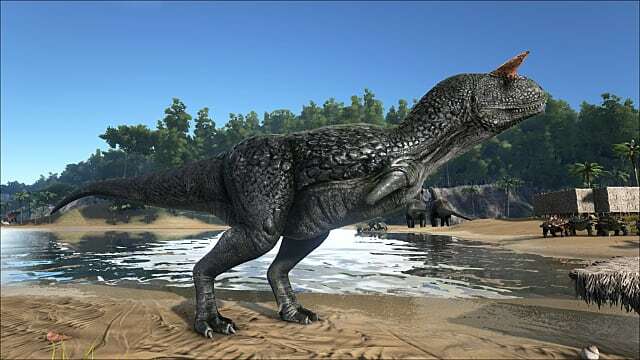 There's a reason it's called the "Giganotosaurus," and that's because it even towers over creatures like the Spinosaurus or T-Rex, and has an absolutely absurd amount of health. The rage mechanic means that the Giganotosaurus becomes more deadly and more unpredictable the longer you fight him, and can even cause him to turn on you after you've tamed him! 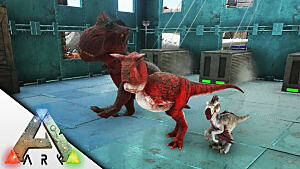 Thankfully, this apex predator doesn't appear randomly on any given server, and instead is only part of specific events. Although it may look like a silly mashup of animals, it has a staggering amount of health far, far beyond that of any other creature and also (rather unfairly) regenerates health. 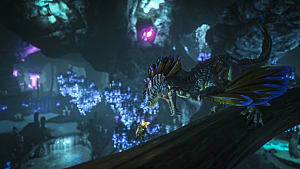 There's simply no viable way to take one down without a full tribe riding giant dino mounts dealing large amounts of damage very quickly. 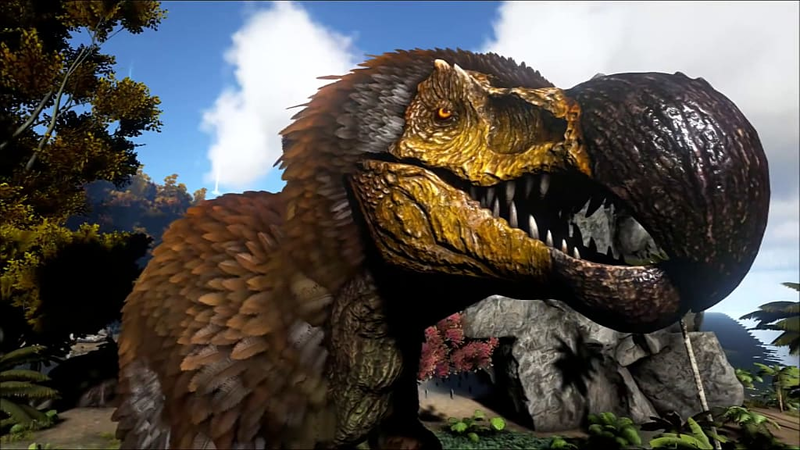 These are the eight most terrifying Ark: Survival Evolved dinos we've come across that have messily devoured us or stomped us to bits! 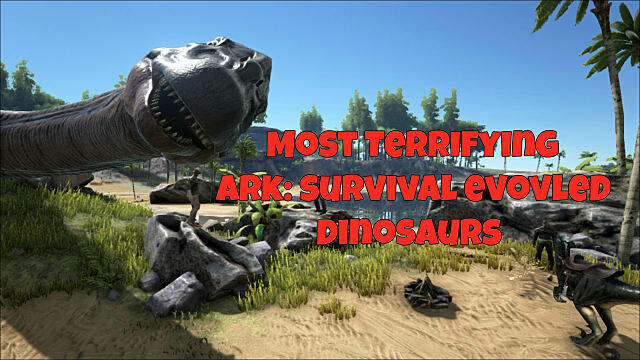 What did you think of our picks, and which dinos do you think are the most dangerous?